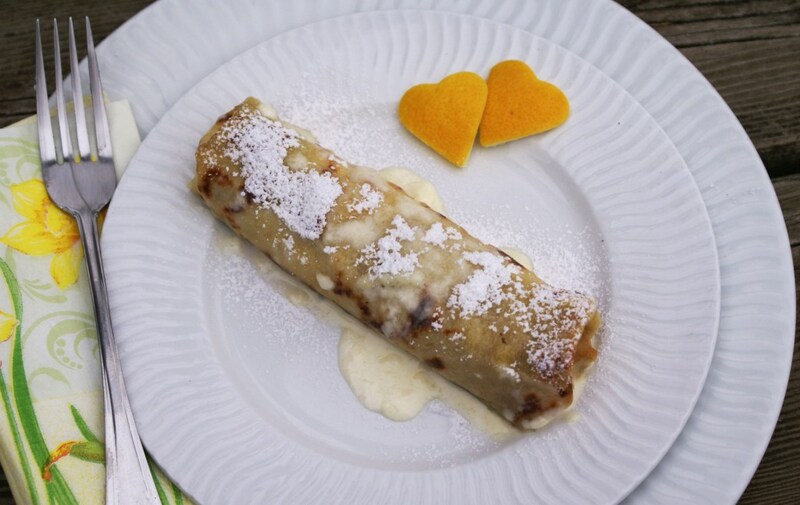 These are my favorite kind of crepes: filled with cream cheese and raisins, with a hint of lemon, covered with heavy cream and baked in the oven. I know, you may think what a calorie bomb, but all resistance melts away with the first bite. 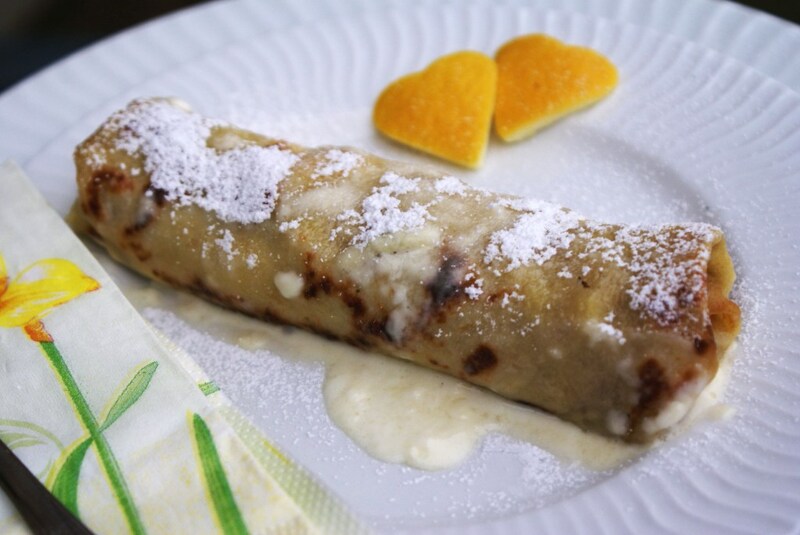 😀 This is not your ordinary crepe! They can be served warm or cold and will taste just superb either way! 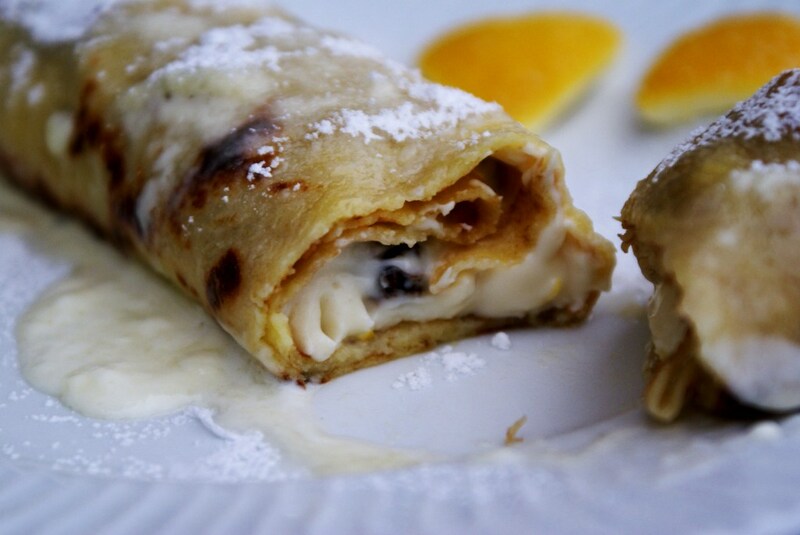 Stack a crepe on a top of another to keep them warm. I usually cover them with a piece of aluminum foil too. For the filling, beat cream cheese and sugar at a high speed until all sugar is well incorporated, add vanilla and beat for a minute more. 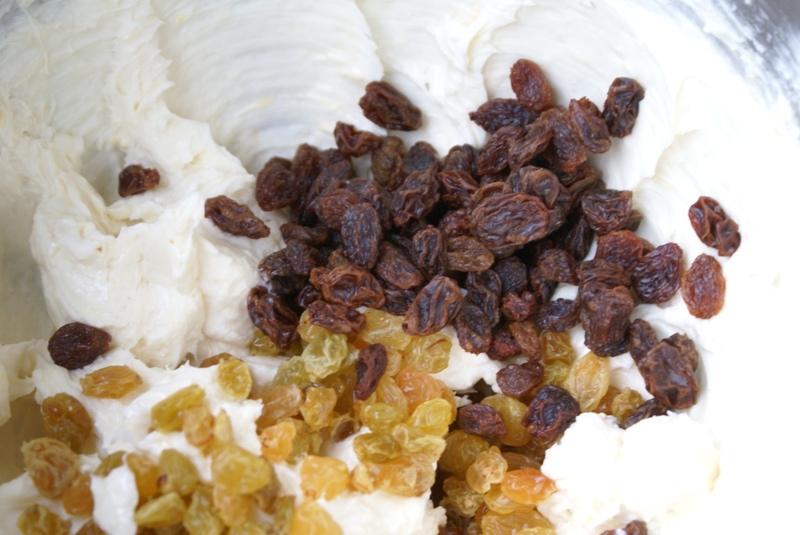 Mix in lemon zest and raisins by hand. 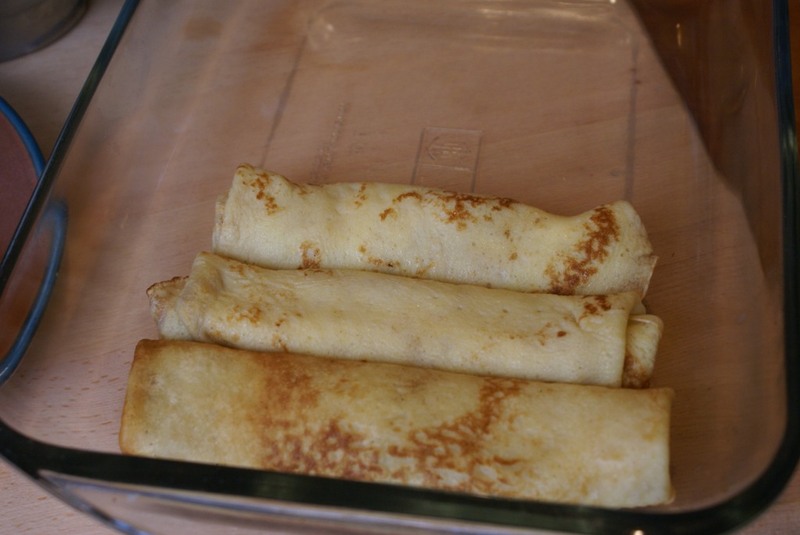 Divide your filling into equal portions depending on how many crepes you have. 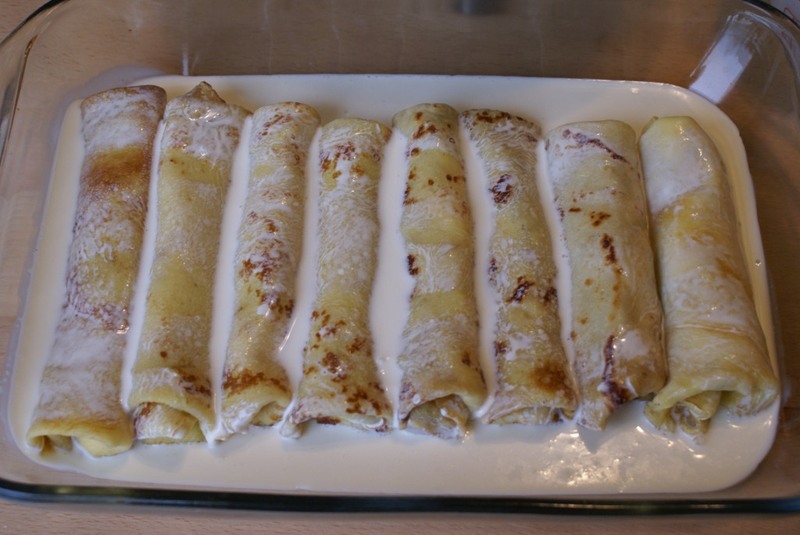 I had 8 crepes, so I divided my filling into 8 equal portions. 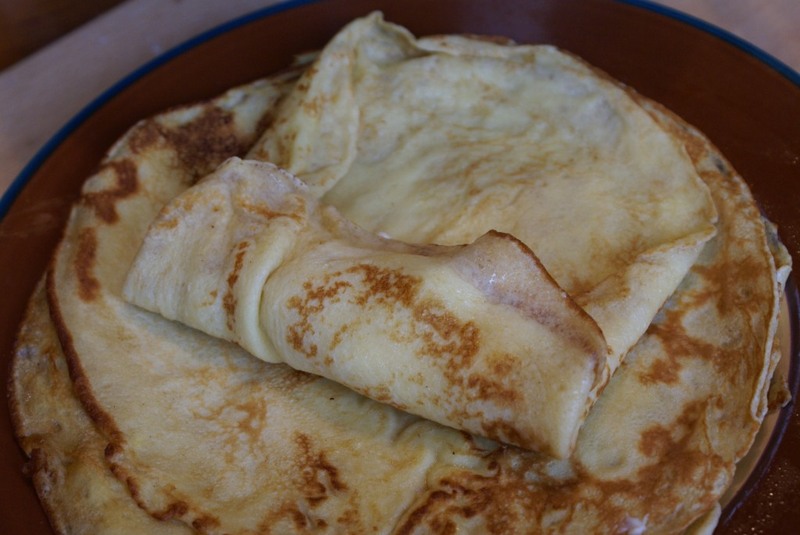 Place the filling at the end of a crepe, fold over crepe from the left and right side (see below pic), then fold over longer side, roll it (as an egg roll) and place into the dish. 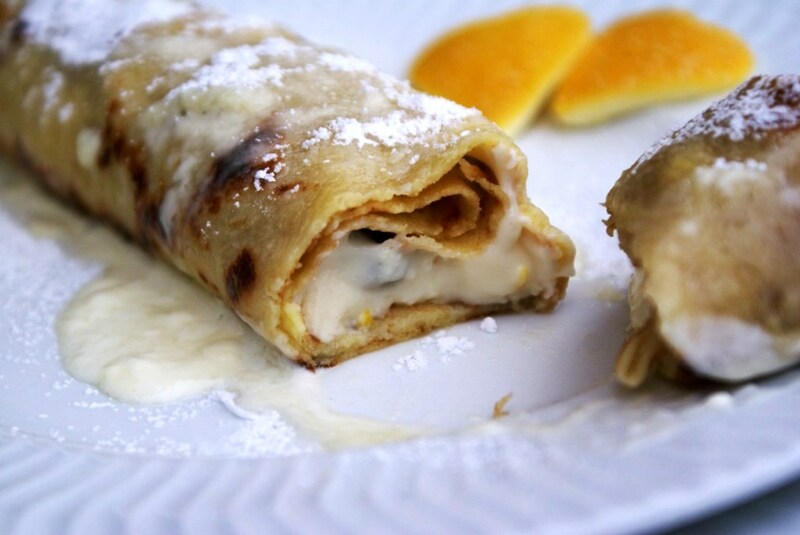 Repeat until all filling and crepes are used up. 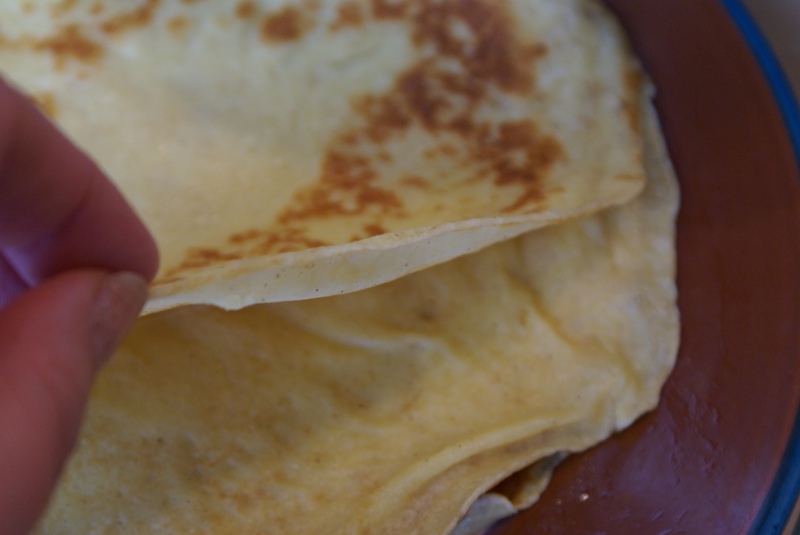 Pour the heavy cream over crepes. Place it in a 200 C (400 F) oven for 15 – 20 minutes or until cream starts thickening and changing color. Serve warm or cold! Bon Appetit! 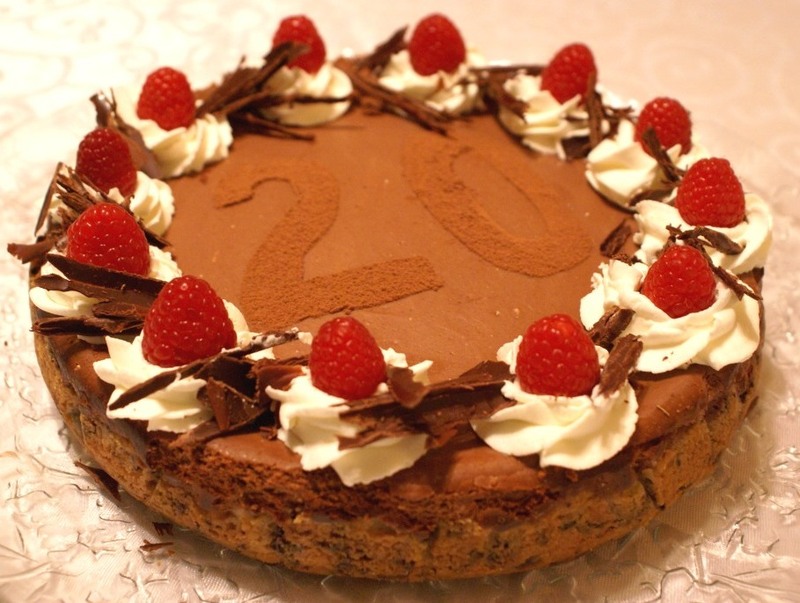 We celebrated our son’s Birthday in January, and being a cheese cake lover, he asked for a chocolate cheese cake with raspberries. I really liked the challenge and it was a perfect timing to try a new cheese cake recipe I had for a while. The recipe sounded different from the way I used to make cheesecakes, but it really was a great success. 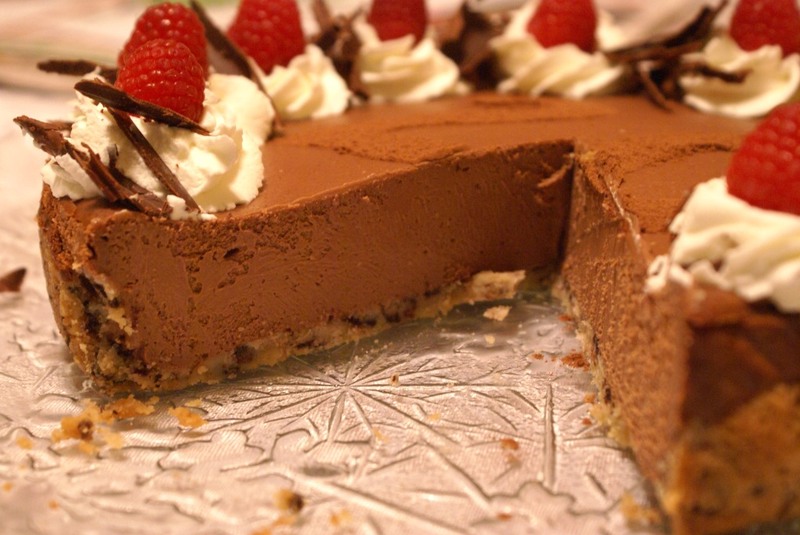 The texture of this cake is so creamy and silky, unlike any other cheesecake I had before – a true chocolate lover’s dream. Instead of graham crackers for the crust I used Milano Raspberry Cookies and then decorated the cake with fresh raspberries. Cover the cake pan with parchment paper. 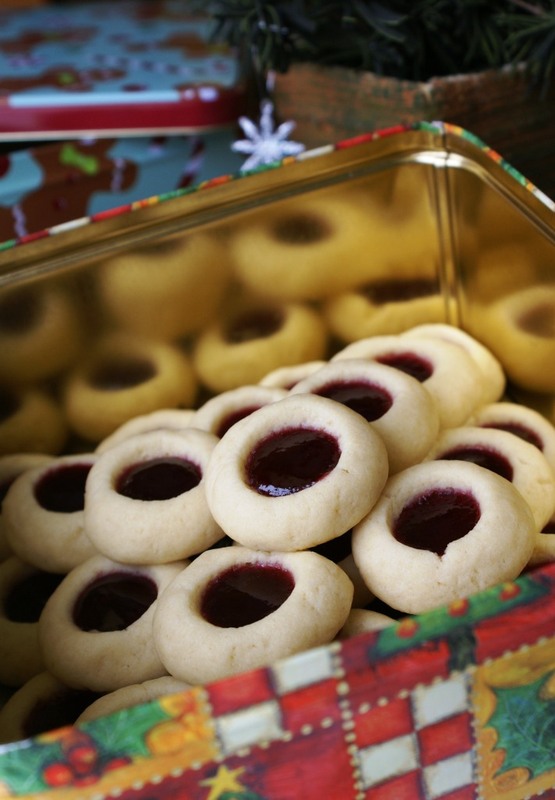 Crush the cookies to resemble small crumbs. Melt the butter and add into cookies. Mix thoroughly and press into the pan bottom and onto the sides (about 1 inch or 2.5 cm high). Place it in the fridge for about 30 minutes. Heat the oven to 180 C (350 F). 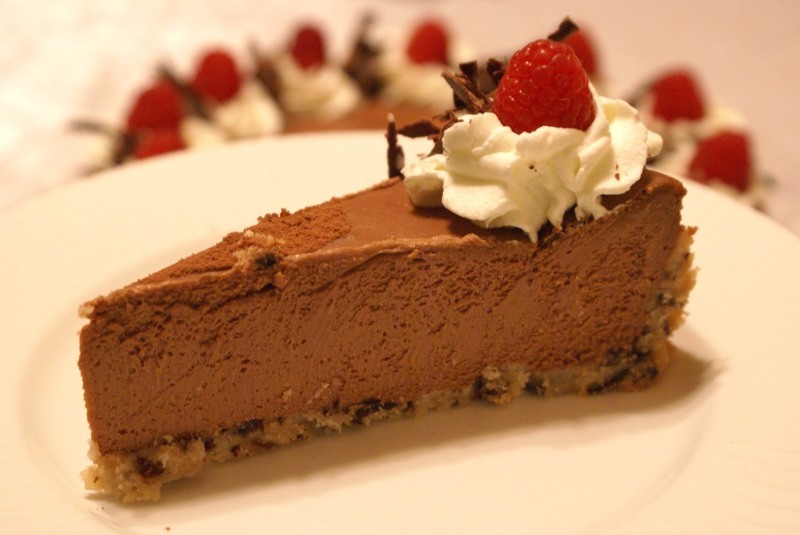 While the crust is resting in the fridge, prepare the cheesecake mixture. First, beat the cream cheese until airy and fluffy, then add sugar, eggs, vanilla, cocoa until well incorporated. Melt the chocolate over a hot water pan. Turn the mixing speed to low and then add chocolate, sour cream and melted butter into the cheese cream mixture. Mixture will look really shiny and smooth. Pour the mixture into the crust and bake at 180 C (350 F) for about 45 minutes. 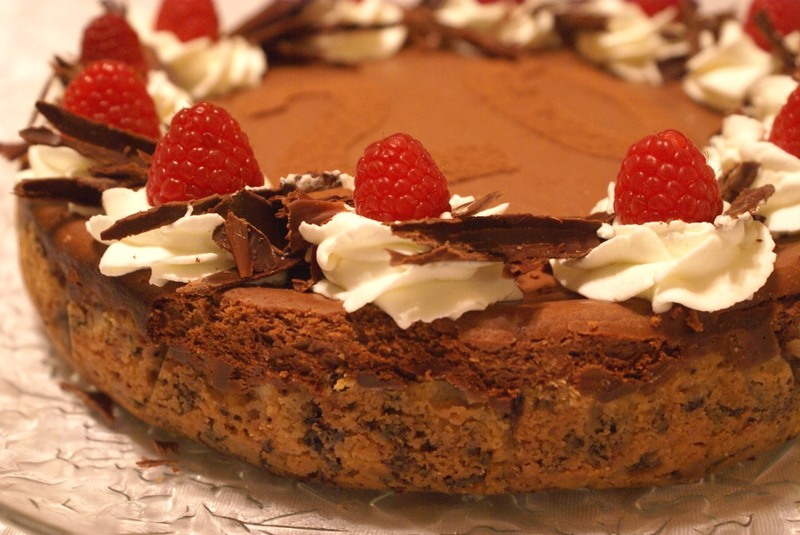 Decorate with whipped cream, fresh raspberries and chocolate shavings. On weekend mornings our family eats what we call a “Big Breakfast”. We take time making food we love, we take time setting the table and take time eating. It is important for us just to slow down, relax and eat this most important meal of the day. Everyone in our family always looks forward to the Big Weekend Breakfast! 🙂 Usually we have what we call an “European Breakfast”, but on some days we have also an “American Breakfast”. This weekend we had an American Breakfast and homemade bagels were on the menu. sesame seeds, poppy seeds, shredded cheese, onion flakes, etc. 1. 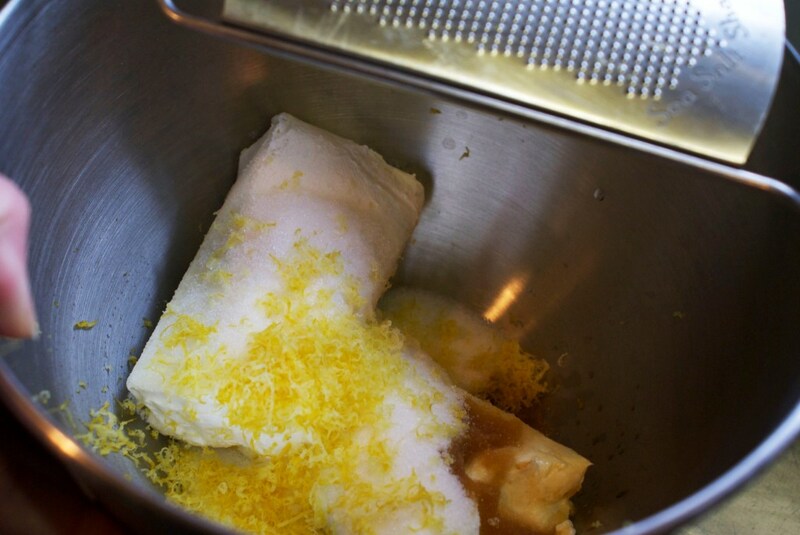 Combine all dry ingredients and mix well for about 1-2 minutes. Combine warm water and oil. Slowly pour the liquid into the dry ingredients and start forming the dough. 2. Bagel dough needs to be firm. It is ready when it becomes smooth and doesn’t stick to the walls of the mixing bowl. 3. 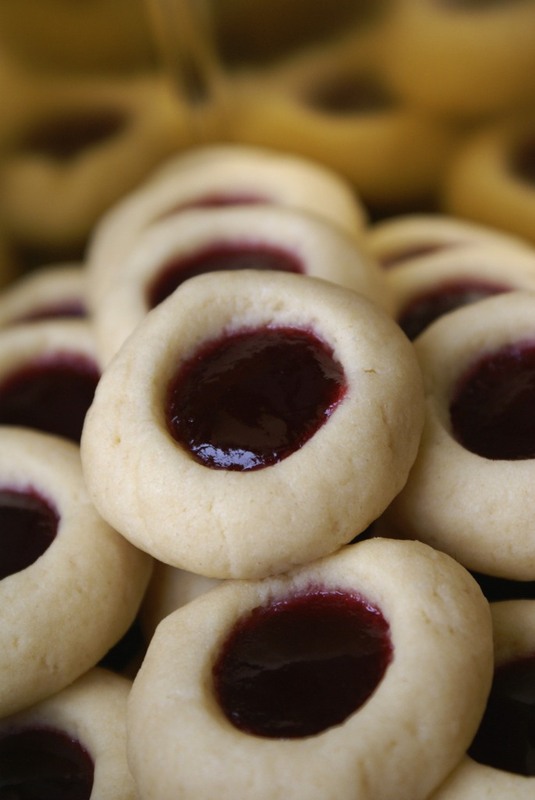 Cover the bowl with plastic wrap and let the dough rise until it doubles its volume or over night. 4. 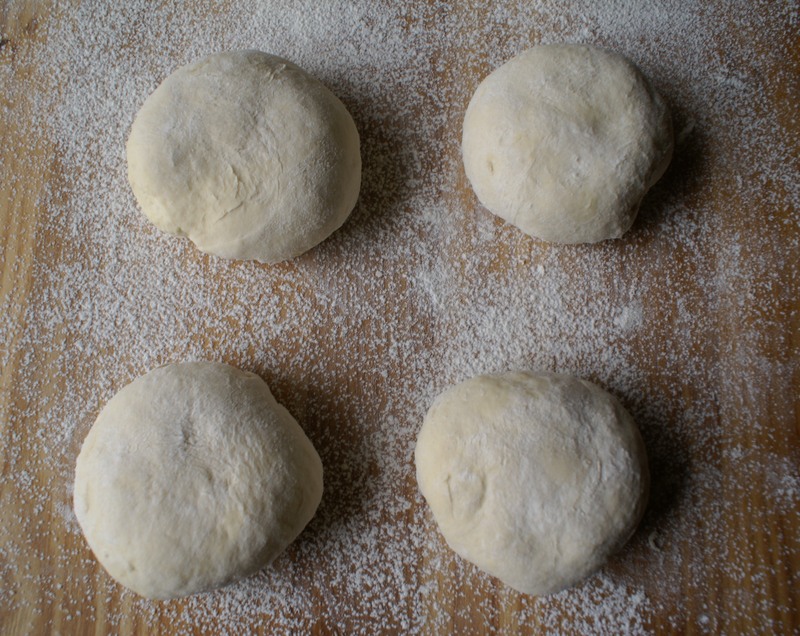 Transfer the dough onto a flour dusted surface and knead for a few minutes. Roll it into a rectangle and cut into 8 equal pieces. I weighed mine and they were all about 4.4 oz (125 g). 5. Knead each piece into a small ball, cover with plastic wrap and let it rise for about 30-45 minutes. 6. 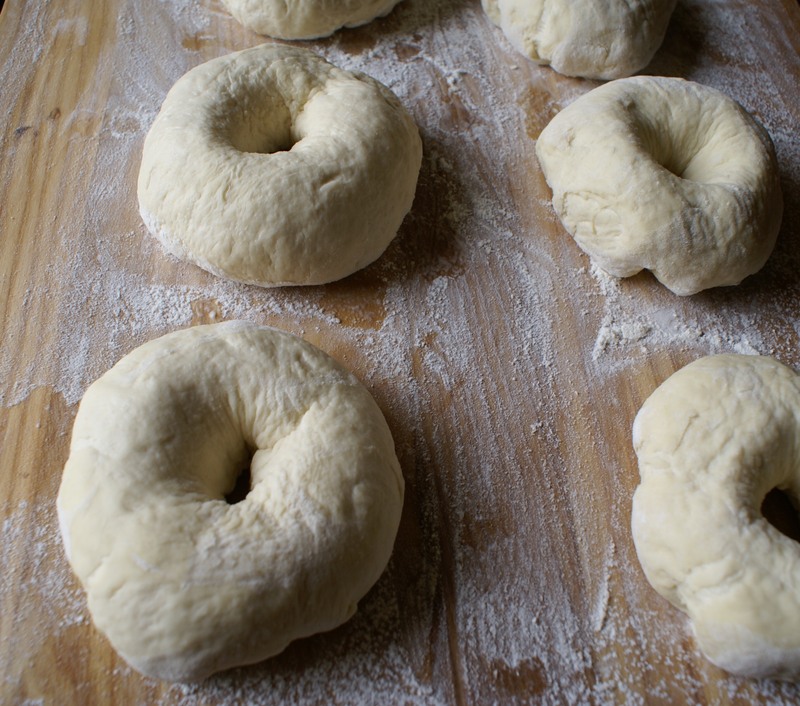 Poke a whole in the middle of each dough ball (swirl around your point finger a few times) to form a bagel. 7. In a bigger pot boil the water, add salt, molasses and mix well. Reduce the water to simmer. 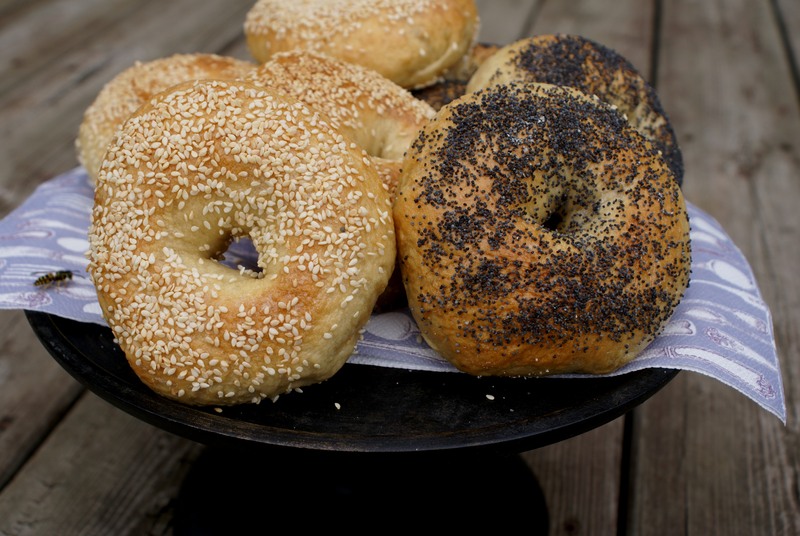 Place each bagel into the simmering water and cook 30-45 seconds on each side. If you like chewier bagels you can boil them for about 2 minutes. Take them out and place on a wire rack. 8. 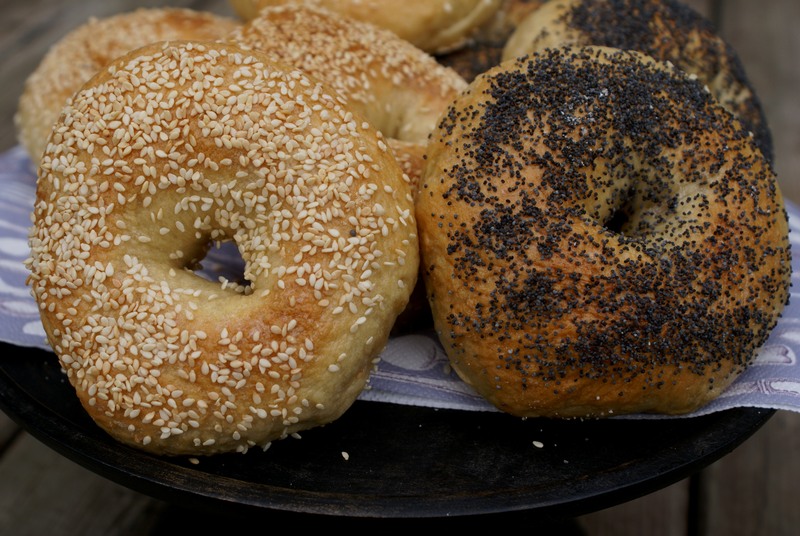 For egg wash mix together egg white and water, brush over bagels and sprinkle with sesame or poppy seeds, shredded cheese, onion flakes (or whichever topping you prefer). 9. Pre-heat the oven to 420 F (215 C). 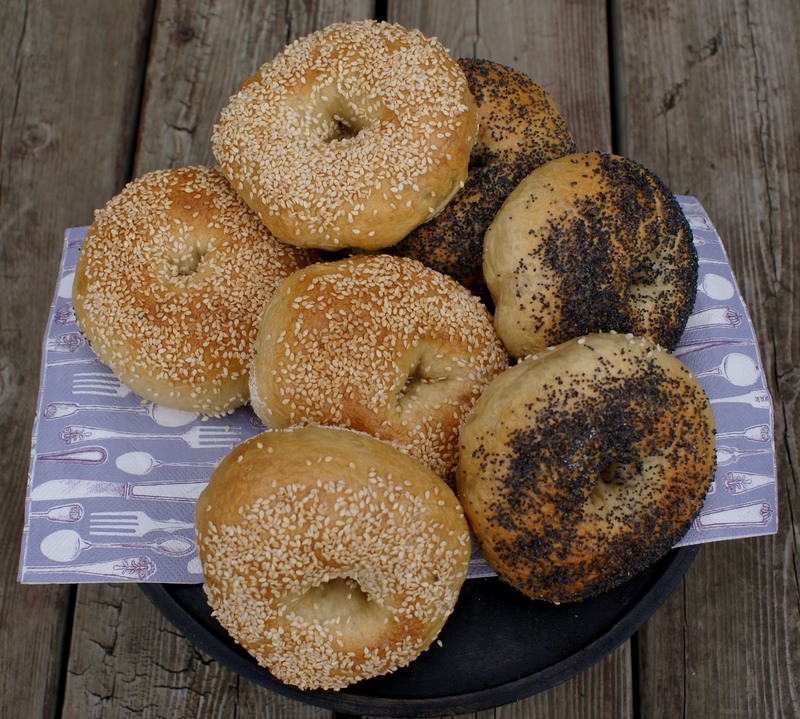 Line a large baking pan with parchment paper, sprinkle with corn meal and place the bagels on the pan. 10. Bake for about 20 minutes or until nice golden-brown color. For a crispier bagel, place a cup of water on the bottom of the oven, while baking. Here they were just the dough balls. 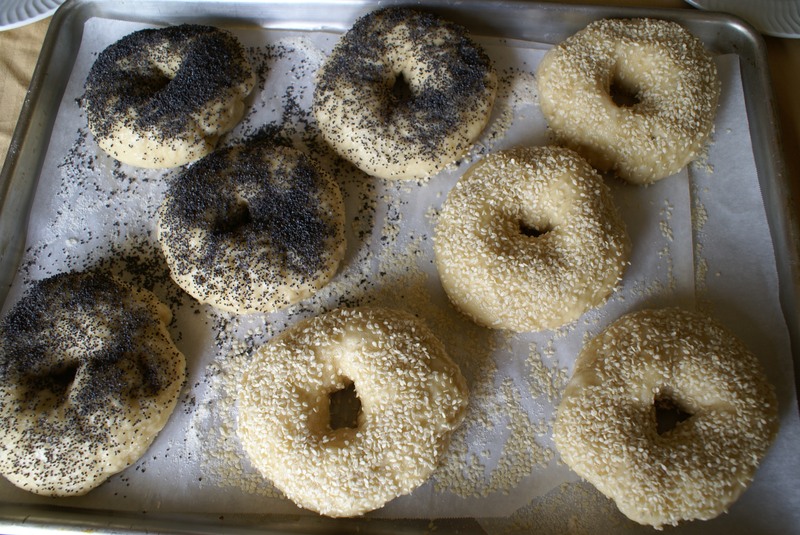 Our favorite toppings – sesame and poppy seeds!